Cyber criminals are using increasingly more advanced technologies to breach the security of high-profile businesses. The list of companies and institutions hacked now include Ebay, Sony, Target, AOL, the NHS and even the US Military. Even after such massive security scandals, some dating back almost 10 years, companies are only now realising how crucial IT security is to their success. Because of this, now more than ever, businesses want professionals who can demonstrate skills in ethical hacking. Read on to discover the reasons why there has never been a better time to become a Certified Ethical Hacker. According to Microsoft’s Digital Crimes Unit, 1 in 5 businesses have been the subject of a cyber-attack. This means it’s a matter of when, not if, more high-profile security breaches will happen. As a result companies are recruiting and training Certified Ethical Hackers to make sure it isn’t them. Because of this, demand for Certified Ethical Hackers continues to climb, almost indefinitely. In addition, BT has recently launched an ethical hacking service for customers in financial services. This service is designed to help organisations in retail and investment banking to protect their business from security breaches and cyber-attacks. If other big businesses follow suit and begin to offer full-scale services like BT’s, the demand for Certified Ethical Hackers will increase significantly. With 1000s of jobs currently advertised, and the future growth potential, this is just one of the reasons why there has never been a better time for you to attain EC-Council' Certified Ethical Hacking credential. It's not just global organisations investing in ethical hacking to ensure their names aren’t headline news for the wrong reasons. Small and medium businesses are increasingly realising the need to increase investment in IT security to future proof their business. In recent interview with the BBC, Steven Harrison, Lead Technologist at IT services firm Exponential-e, states there can often be a knowledge gap between small business and industry giants. To bridge this gap, small businesses are increasingly investing in developing the skills of ethical hackers to tighten up their security. The goal is to prepare themselves as they expand into the cloud, social media and other advancing technologies. If you work for a small or medium business, now is a fantastic time to encourage your boss to invest in training you as a Certified Ethical Hacker. When the title of “ethical hacker” was first mentioned, some businesses were cautious of employing those with the skills to hack their systems. For obvious reasons, businesses were reluctant to hand over the keys to their company’s security. They were fearful of disgruntled employees who knew every detail of their security systems and how to access their most sensitive data. However, ethical hackers have proven time and again their value by protecting businesses from cyber-attacks that have devastating potential. Companies are also more aware of the rigorous background checks for criminal records and codes of conducts that all ethical hackers must pass and sign. This is good news, as the types of attacks that are threatening businesses are becoming increasingly more common and complex. The best way to counter this threat is to employ a Certified Ethical Hacker to discover and patch weaknesses in security. The realisation of the worth of ethical hackers means more businesses are looking to employ and train Certified Ethical Hackers for protection. They are much more willing to open their doors to you. EC-Council recently released the new and updated version of the Certified Ethical Hacker certification. Because the CEH certification is the pinnacle in the field of ethical hacking, when the course is updated, it provides the latest knowledge and skills available. Version 9 is no different and has added new vulnerabilities and attack vectors. Now is the perfect time to bring your skills up to date and set yourself apart from other professionals. The demand for Certified Ethical Hackers is only set to increase in businesses of all sizes. As technology continues to advance, so will the threats to the businesses using it. These businesses will need to protect themselves, one of the best ways to do that is through Certified Ethical Hackers. 1. 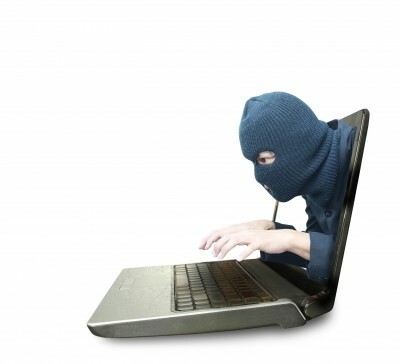 Big business are investing heavily in recruitment and training of Certified Ethical Hackers. The emergence of ethical hacking as a service ins only going to create yet more jobs. 2. Small and medium businesses are investing more in developing ethical hacking hacking skills, meaning you have more chance of improving your knowledge and skills. 3. Reduced stigma and a greater appreciation of the value of ethical hackers means more and more companies are opening their doors to Certified Ethical Hackers. 4. The release of CEH v9 means you can bring your skills up to date and be at the forefront of ethical hacking.